Standard Supports VGA Video Plus USB Control of Projector. NOTE: Projectors support Various Video and Data Signals. Numerous Names for the Same connector: M1-DA, M1, EVC-34 or P&D Connector. 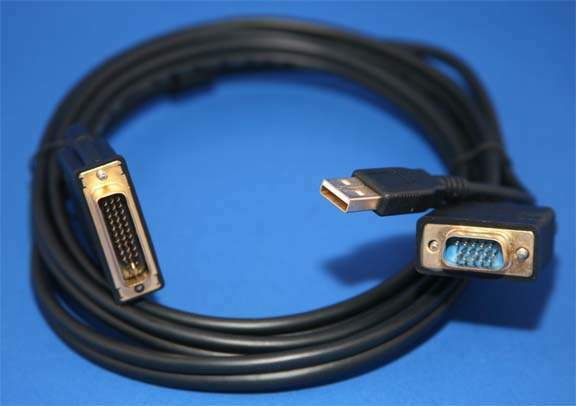 This Connector Carries Digital Video, Analog Video, USB Data and Firewire Data.